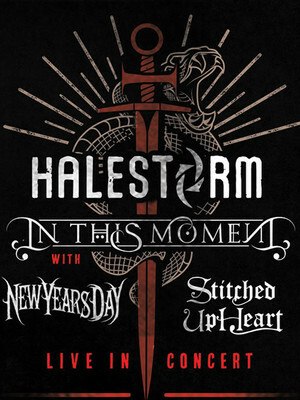 Why See Halestorm and In This Moment? Nothing says Heavy Metal quite like Halestorm, groundbreaking in so many ways, from their music to the fact they are lead by Lizzy Hale, Halestorm have forged their own path in the genre. 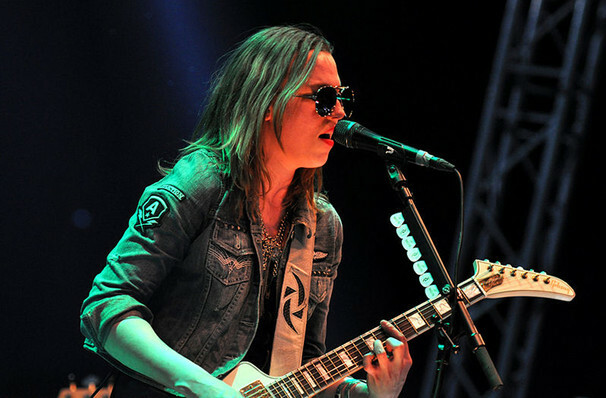 Joined by fellow band In This Moment, Halestorm step out onto their North American tour, in support of their latest release The Wild Life. Formed in the 90s Halestorm have gone from strength, not one to rush their musical creativity The Wild Life is only the bands third studio album. However, with the care and passion that the foursome pour into their music, fans know that what they'll get is the best metal tracks Pennsylvanian natives have to offer! Hailing from L.A In This Moment burst onto the scene in 2007 with debut album Beautiful Tragedy. Since then the band have gone onto release a further five studio albums! As well as appearing on some of the most notable tours and at some of the biggest festivals in the world such as Download and Ozzfest, In This Moment's fifth album Black Widow debuted at number eight on the Billboard 200 in 2014! Sound good to you? Share this page on social media and let your friends know about Halestorm and In This Moment at 1stBank Center. Please note: The term 1stBank Center and/or Halestorm and In This Moment as well as all associated graphics, logos, and/or other trademarks, tradenames or copyrights are the property of the 1stBank Center and/or Halestorm and In This Moment and are used herein for factual descriptive purposes only. We are in no way associated with or authorized by the 1stBank Center and/or Halestorm and In This Moment and neither that entity nor any of its affiliates have licensed or endorsed us to sell tickets, goods and or services in conjunction with their events.